The mother of two is looking forward to the rest of her life following the transplant. A YOUNG MOTHER has spoken of the life-changing liver transplant she received as she urged the Government to bring in an opt-out organ donor system. Lynda O’Mahony from Cork described how she was living in agony with the liver condition known as primary biliary cirrhosis or PBC. The itching sensation was so intense that she used a cheese grater in a bid to get some relief from her debilitating pain. O’Mahony experienced liver failure three times and was preparing her family for her death. While she couldn’t tell her children there was a possibility their mother would not be there when Santa arrives, she described how her body was slowly shutting down and how she was ready for death. But on December 9, the phone in her sitting room rang and it was a call that would change her life forever. Doctors had found a donor. Talking to Neil Prendeville on Cork’s Red FM, she said: “I got the call that saved my life. I had given up hope. I had gone home to die. I knew I wasn’t going to make Christmas. I was in a bed all the time. It was half five in the evening, I was sitting down. The house phone rang. I couldn’t believe it. At 6am, I was brought into theatre. I didn’t care if I came back out through those doors. I could sleep and feel nothing. Whether I woke up or not, I didn’t mind. That’s how horrific the pain was. O’Mahony described how there should have been an empty space at the Christmas table this year but for the lifesaving liver transplant. She is now setting up a support group for all those in Ireland who are struggling with PBC. O’Mahony also urged the Government to introduce an opt-out system for organ donation. At this moment in time, Irish people have to sign up to be organ donors. Under a new system, you would have to inform the HSE that you did not want your organs removed. 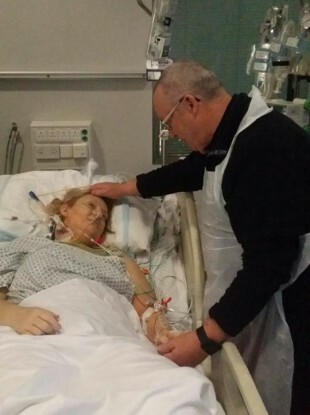 Email “'I had gone home to die': Cork mother's new lease of life following liver transplant”. Feedback on “'I had gone home to die': Cork mother's new lease of life following liver transplant”.